An Englishman, a Welshman, a Scot and an American is often the cue for a gag but tonight it was one facet of the Porchlight Smoker line up, that had ventured north to promote their excellent new album WATER INTO SAND. 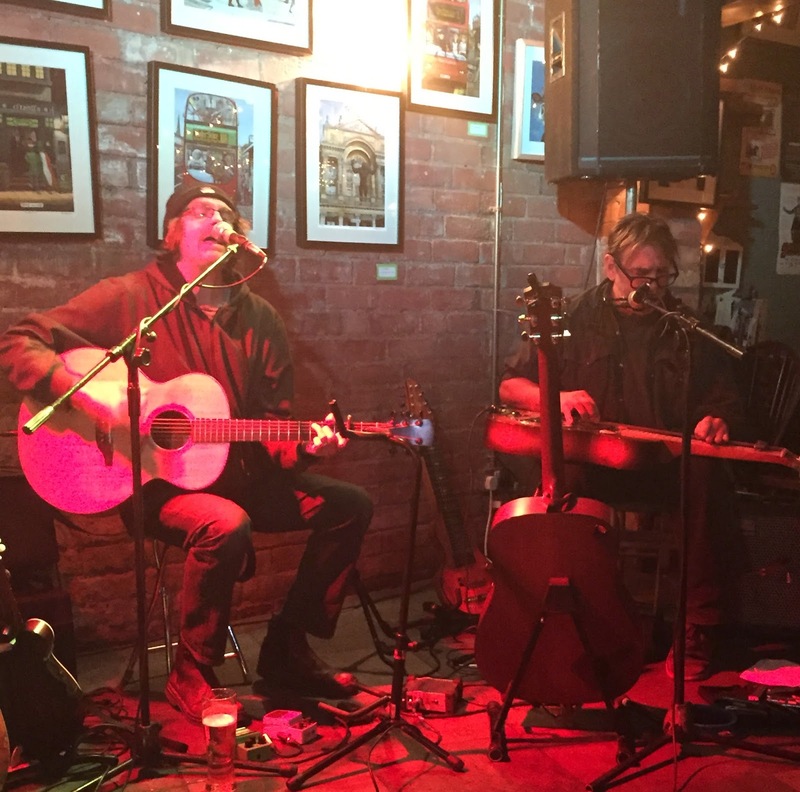 Such is the comradery and interchangeability of like-minded bands, two Porchlight members were making a return visit to the Kitchen Garden Café after fellow Brighton-based band Hatful of Rain had graced the same venue with their presence last year. Just as Hatful impressed with their 2014 gig, Porchlight Smoker displayed in their versatile entity, the wealth of song writing and musical talent that exists within the UK’s Americana-tinged folk and roots genre. With Hatful’s Phil Jones filling in on stand-up bass, it was left to the three remaining core Porchlight members to showcase their sound and share a bunch of well-written original songs sitting comfortably alongside some more illustrious covers. From the opening strains of ‘Mary Mary’, replicating its album position in tonight’s set list to a hypnotic version of Bob Marley’s ‘Stir It Up’ proving a suitable finale, the songs came thick and fast with an almost entire airing of the new album. As per usual, a moderately rated album track comes to the fore in a live set and ‘Instead’ fitted that bill this evening, even without the pedal steel that spices it up on the record. All the way from Kansas, USA, Scott Smith was the architect of this track raising its album profile during the show as well as providing lashings of very welcome twang in the form of lap steel, dobro and guitar. Scott’s vocal style and American connections obviously add a stateside slant to Porchlight’s sound which is further aided by covering songs from such esteemed artists as Steve Earle and Gillian Welch. Sitting back and enjoying the playing of Scott was hardly an arduous task. Likewise the Celtic influence of Steve Bell further flavours a melting pot of tasty transatlantic servings. 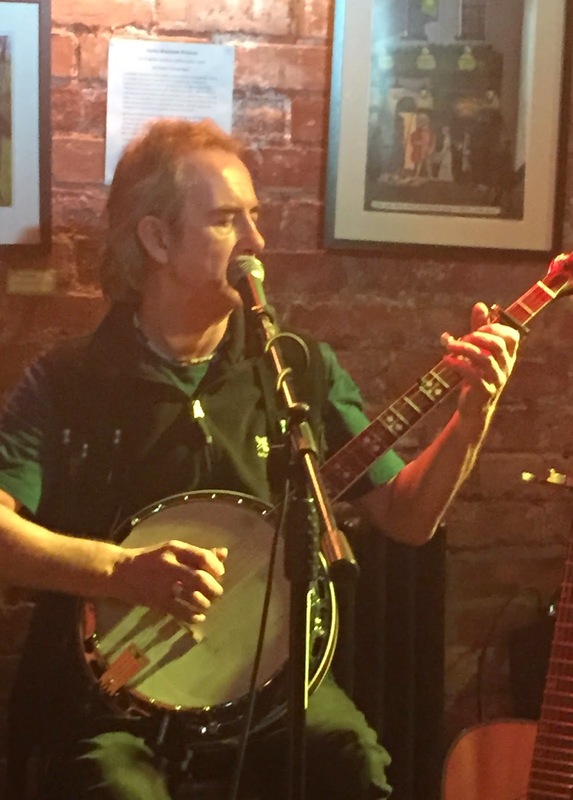 Predominately on influential banjo, Steve’s vocal contribution to grand songs such as ‘Maria Kennedy’, ‘US75’ and ‘Flowers on the Sea’ rose above the dreaded seasonal ailments to take a rightful centrepiece role in the evening’s twin sets. 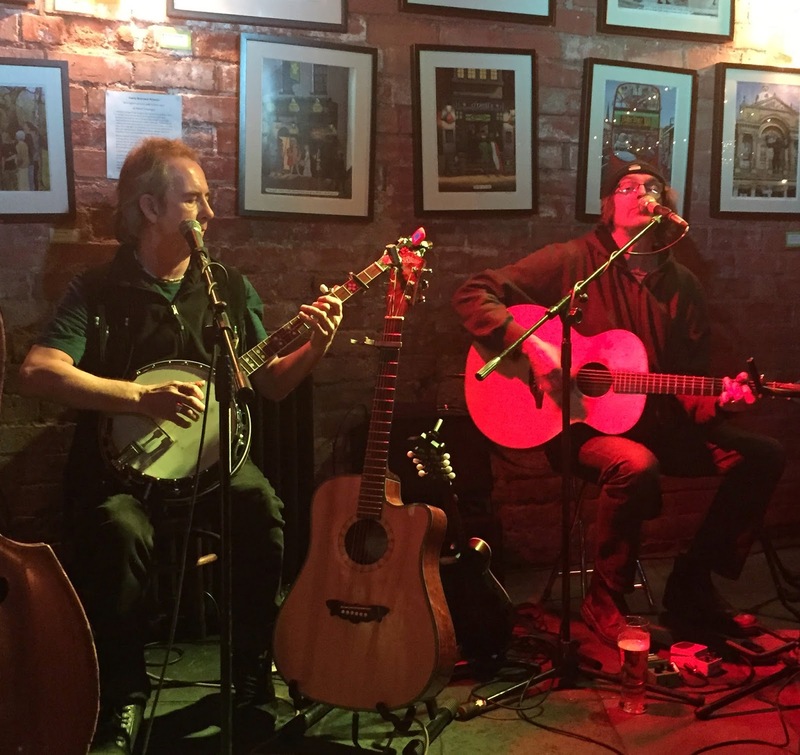 The Kitchen Garden Café was familiar surroundings for Fred Gregory, who shares his Porchlight duties with Hatful of Rain, displaying his skilled guitar and mandolin playing acumen at the venue last June. The Porchlight set up gives Fred a slightly higher profile live role in what is still a very much egalitarian band in terms of input. ‘If I Had a Way’, ‘I Don’t Mind’ and ‘Man in a Boat’, all from the new album, had Fred in full flow, who also showed a little coy pride in announcing the latter’s video. 2015 is likely to be a busy year for Porchlight Smoker in promoting the new album and this will undoubtedly be aided by the return of regular bassist Scott Warman alongside their tie up with the guys from Brighthelmstone Promotions. What you will see from Porchlight Smoker is a group of highly capable musicians, exquisite architects of both highly effective originals and cool covers, intuitive band playing and a total understanding of the music they excel in performing. All round, a great band to add to your live menu of folk, roots and Americana music with a UK twist.